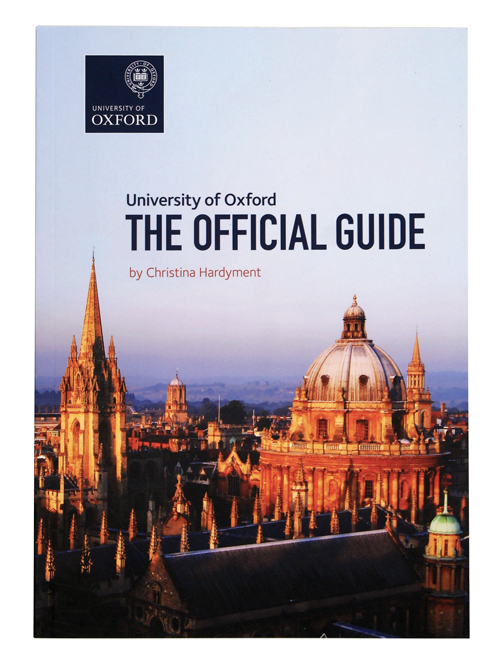 For the first time the University of Oxford has produced it's own official guidebook. Whereas there are many visitor and student guides to Oxford in existence, this one is specifically about the University rather than the city as a whole and it is packed with not only information about the University as it is today, but also with it's history. Every area is covered, from colleges and museums to achievements and traditions, and there are beautiful photos and quotes throughout. In the back of the guide can be found a handy glossary of unusual Oxford terms you may encounter such as Bedel (an official attending the Vice-Chancellor at ceremonial events) and Gaudy (a college event for old members), and a very clear map with all the major university sites marked. There's even a tear-out bookmark so you don't lose your place! I've worked for the University for eight years now, and I love fact gathering and history, but this guide still had some new things for me to learn, plus there is the challenge of trying to pronounce the longest word in the Oxford English Dictionary! The guide is clearly very well researched and invaluable to anyone who is seeking an introduction to this world famous institution and it's history.